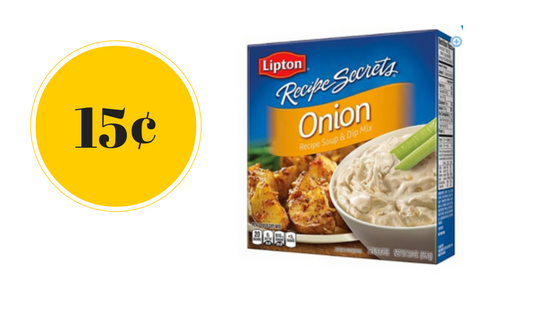 Home > Bi-Lo Deals > Lipton Coupon | Soup Mix, 15¢ ea. Lipton Coupon | Soup Mix, 15¢ ea. One packet of Lipton Onion Soup Mix and a can of cream of mushroom soup makes for one of the best tasting roasts and only takes 1 minute to prepare. This is a key ingredient in my super simple Sunday roast every week. Use a Lipton coupon to get it this week for as low as 15¢ each at Bi-Lo!